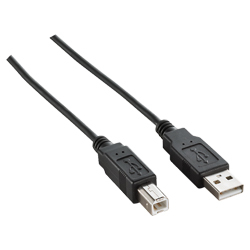 The Promate linkMate.U1 is a premium type-A to type-B USB 2.0 cable that connects to compatible printer, scanner or other USB peripherals for hi-speed data transmission. 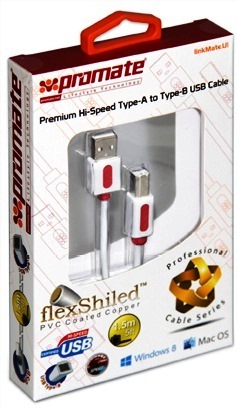 Made from flexShield™ PVC coated copper material, this USB 2.0 cable delivers data transmission of up to 480 Mbps with error-free performance and supports hot-plugging feature. 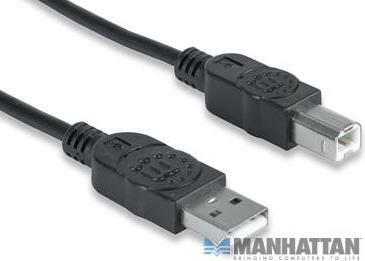 Works with all USB 2.0 devices, the linkMate.U1 is also fully backward compatible with all USB 1.0 and 1.1 devices. The Manhattan Hi-Speed USB 2.0 Device Cables easily connect USB peripherals and accessories with desktop and notebook computers. 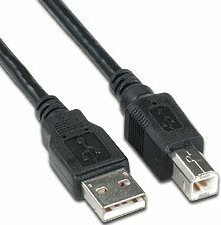 Ideal for use with many USB external enclosures, hubs and other hot-swap, Plug and Play devices, Manhattan Hi-Speed USB 2.0 Device Cables support data transfer rates up to 480 Mbps on Windows and Mac systems for fast, reliable transmissions. 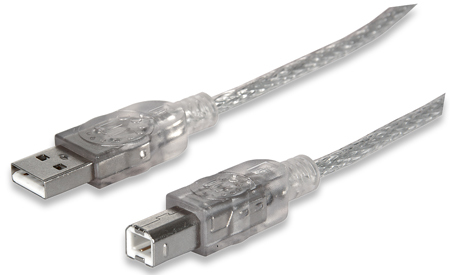 Gold-plated contacts, shielding and fully molded boots with strain relief help provide dependable connections, maximum conductivity and minimal data loss with reduced EMI interference. minimal data loss with reduced EMI interference.